Shopping for Sailor Moon Office? Imported from Japan! Note-taking is so much more tolerable when your pen is amazing, so Bluefin offers the Pretty Guardian Sailor Mercury ball point pen! This high-quality pen is comfortable to hold and makes for a smooth writing experience. 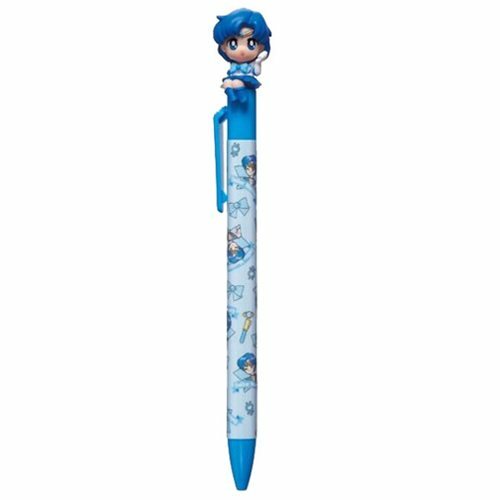 Pen is adorned with a cute version of Sailor Mercury perched on one end while the pen stem is embellished with colorful images of the character from top to bottom. Ages 13 and up.